Are You Conducting a Car Dealer Search? Visit Budds’ BMW in Oakville Today! If you live in Oakville and are conducting a car dealer search, visit Budds’ BMW in Oakville today. We’re located just off of Bronte Road, south of the QEW. Our Oakville dealership has a great selection of new and pre-owned BMW automobiles for you to choose from. Whether you’re on the market for a premium SUV, sedan, coupe, pickup truck, or sports car, Budds’ BMW can make your car dealer search in Oakville easier than ever before! Rather than spending valuable time and energy searching for vehicles all over the GTA, start your car dealer search with Budds’ BMW in Oakville. We’re a reliable automobile dealership that has been serving the GTA since 1973. With an overwhelming amount of information online, we understand that searching for a new or pre-owned vehicle to buy can be daunting and time consuming. We do our best at Budds’ BMW to make your time with us enjoyable, timely, and educational. If it is within your budget to purchase a brand new BMW vehicle, you can begin your Budds’ BMW journey by custom designing your dream vehicle online. When you choose our selections according to your style preferences and needs, it makes it that much easier for us to deliver your dream car as soon as possible. Rather than becoming overwhelmed by all of the choices available to you, we are here to ensure that you find exactly what you want and that we have it ready for you when you want it. Or, if you’re interested in purchasing a certified pre-owned vehicle, view our online gallery, and feel free to contact us to book an appointment so we can help you find the car of your dreams. No matter what your preference is, we have you covered. We make your car dealer search simple at Budds’ BMW by providing Oakville residents with an easy to use online gallery. Once you’ve gained an idea of the luxury BMW automobiles that we offer and how you can customize your dream car to fit your needs, feel free to contact us so that we can further assist you. Or, if you prefer to come into our Oakville dealership directly, please do! We love connecting with our customers, and we encourage you to book an appointment so that we can share all of our knowledge and valuable information about these innovative machines. 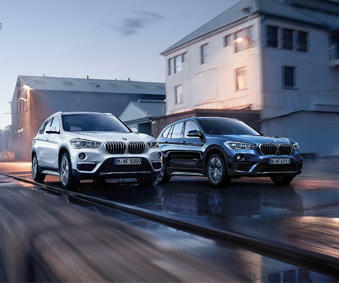 At Budds’ BMW, we believe it’s of the utmost importance to gain experience behind the wheel of these extraordinary vehicles before making a final decision, so we also encourage you to test drive any of our vehicles that pique your interest. Contact us today for more information about our premium BMW vehicles.